This may be old news, BUT we are still not over it. 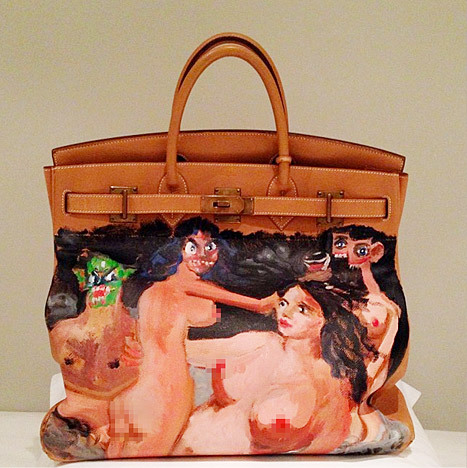 If you have not heard, American artist George Condo painted a 40K BIRKIN (Hermes, DUH) for Kim Kardashian. The purse was a gift from her ever so loving BABY DADDY / fiancé Kanye West who is friends with the reknowned artist. What a statement. 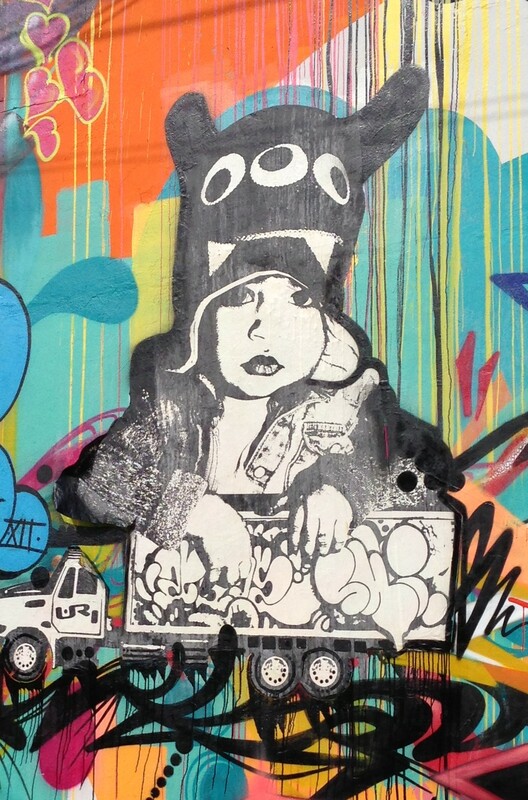 While we love Condo, this atypical canvas is surely a first. This is not the West’s first collab with Condo. If anyone can recall back to 2010, the year after West’s drunken rampage at the VMA’s over Taylor Swift, Condo illustrated West’s cover of his album “My Beautiful Dark Twisted Fantasy.” And while the bag is untitled, it kind of recalls a similar scenario, although it appears nothing like the album cover itself. What do you think?? Beautiful? Dark? Twisted? Fantasy? If you find yourself in East London you should probably go to Parasol Unit. Currently on view is the work of Iran-born Dutch artist artist Navid Nuur and it’s nothing short of AMAZING. The show, entitled Phantom Fuel provides just the right amount of a certain push/pull aesthetic with works that invite you in and others that repel you just as quickly. With sculptural and installation-style works, the show pieces together a certain narrative which provides the viewer with an experience you can not only SEE, but FEEL. In the first room you find yourself in a dark space, navigating an interesting array of LIGHT and NEON works. Traveling through SAND PAPER CURTAINS (it sounds about as pleasant as it feels… not) you come into the next space, light I may add, which presents sculptural works, an iphone video and even a freezer full of ice lollies. The exhibition continues in the first floor gallery space with more sculptural works as well as an eerily dark room. There is also work in the gardens outside. In order to not give it all away though, I’ll stop there. Something is present, driving you onwards and upwards through the space and it’s that something that follows you when you leave. Perhaps its the broad combination of STYLES. Or perhaps it is the juxtaposition between LIGHT and DARK spaces you find yourself in. Or maybe it just is what it claims to be: Phantom Fuel, something INTANGIBLE but POWERFUL which encompasses the mind, body, and soul. The show is on until the 19th of May. We highly suggest you take a field trip and experience this Phantom Fuel for yourself.